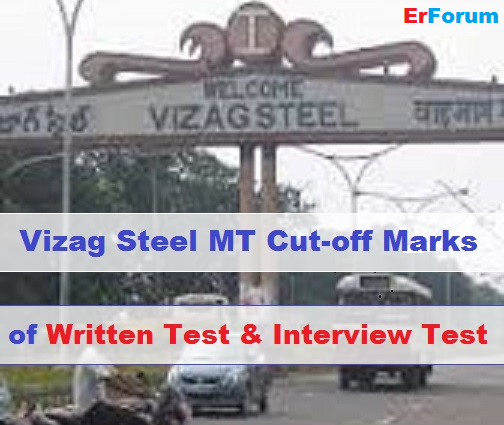 Vizag Steel Management Trainee exam cut-off marks of Written Test (Qualifying) and Final cut-off marks for all branches is mentioned below. 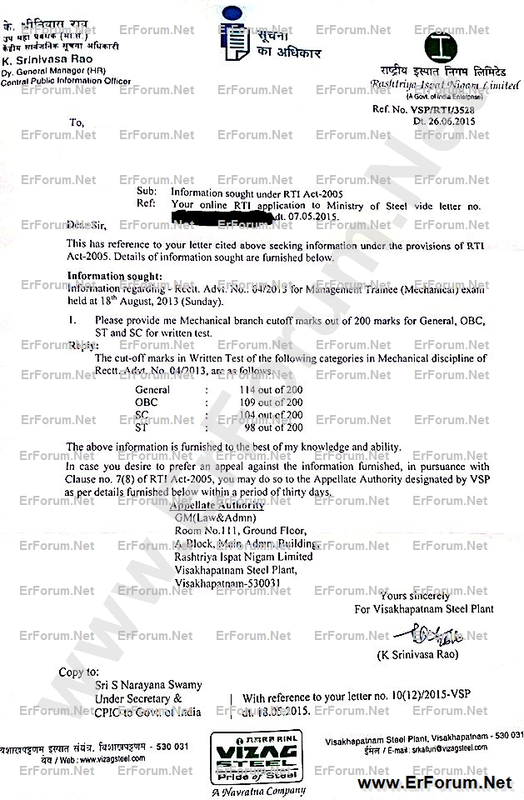 These cut off marks was collected through RTI process. The idea of cut off marks will be helpful to the aspirant who is going to write the exam. These cutoff marks listed here is category wise and Branch wise. There are four categories as- General (UR), OBC, SC, and ST. Each stream has different cutoff marks. Written Test for each stream is of 200 marks and Interview is of 100 marks. 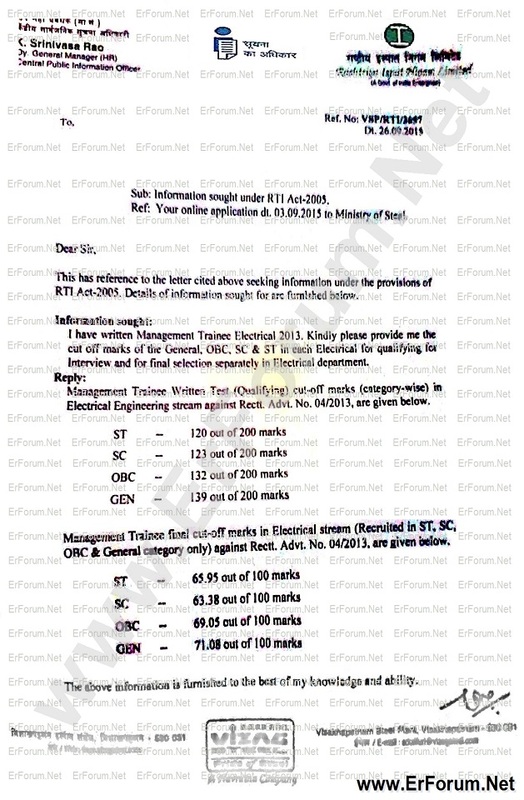 (i) For the Mechanical stream, the cut-off mark is approx 60%-70% for written Test. (ii) For the Electrical stream, the cut-off mark is approx 70% for the written test and 66% for the Final (Interview) Test. Note: Other stream/discipline/Branch Like Civil, Chemical, Metallurgy, Mining, etc cutoff marks will be updated later on as soon as we get info from the authentic source.